You need a commercial or branded content video production that’s going to give you results. Before you dive into a project with just any company, you want to understand their processes and know what to expect. BTP Media offers full transparency in our creative process. We strive to give you the best video production possible. Read through our frequently asked questions for information, and call our commercial videographers today for a free consultation. Every project is unique. There are circumstances that require an immediate turnaround on location, in which case the delivery time is a matter of hours. For larger scale productions, the process can take several weeks depending on the project-specific needs (visual effects, animation, voiceover, etc.). Give us a call to better understand the timeline for your specific project! What kinds of videos do you do? But like we said, our videos don’t just stay on the porch — they go beyond. View our video portfolio, and subscribe to our YouTube channel to see the latest in our productions. Our goal is to make the best video possible at a budget that is comfortable for you. Every project is unique, and as such the pricing is unique. 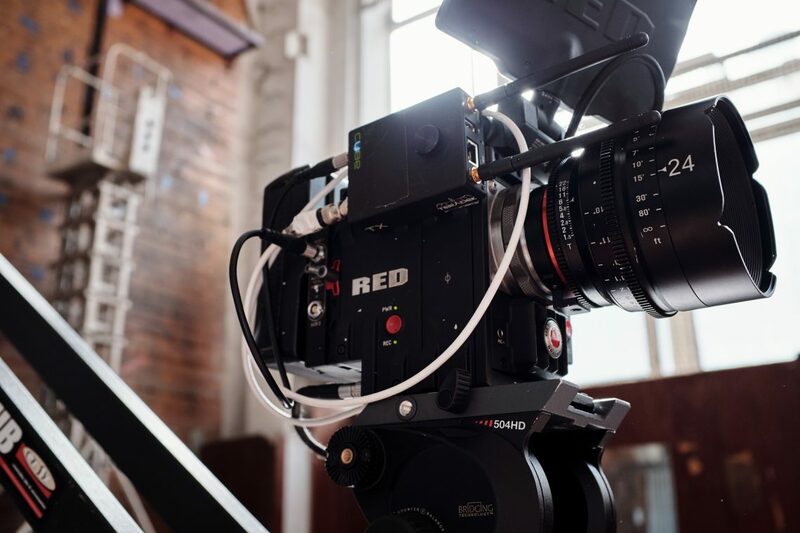 Certain videos have minimal production and post-production needs, while others requiring more production and post-production resources can result in a higher budget. From the very beginning, our producers will provide an a-la-carte lined quote to help you understand the associated costs for producing your video, and to begin the conversation of where to best save and spend money to create the best content possible. Can you find actors to be in my video? Yes! Depending on the needs of your specific project, there are several ways that we can bring actors and voiceover talent onboard. The acting needs for every project are unique, so again, talk with our branded content video production company and we’ll do what we can to meet your video’s needs. I just want footage to edit myself, do you do that? Yes! All of our pre-production, production, and post-production services can be provided a-la-carte. While we can handle a project all the way from ideation through delivery, it is common that our clients only need the raw footage from their event/seminar/etc. We can dispatch a single camera operator with equipment, as well as a full production team without needing to include post-production. Get in touch with our commercial videographers and we’ll work something out. Can you livestream my event to YouTube or Facebook? We can! If you are hosting a special event, seminar, panel, or live show, we can provide all of the production resources necessary for you to broadcast your event live online! Our live-show producers can help put together the roadmap for you to share your event, live with the world. Let us know well enough in advance if this is an option you’d like to consider. You do! BTP Media enters the process as a white-label production partner, performing their duties as a “work-for-hire” — which means that you own the final product! It’s your video, not ours, and once we deliver the final product you are free to use the video in any way you see fit. Use for social media, advertising, on your website, or in any other capacity. We’re a globally-acclaimed, award-winning video production company that has produced more than a thousand stellar videos for clients. Some of the biggest brand names have chosen to work with us for our unparalleled results that work diligently to meet your budget’s needs. The bottom line with our production company is that we offer a-la-carte options that are designed to cater to you. No matter if you have something in mind, an entire video planned, or want a video but don’t know where to begin, we can get you a result that you’ll love. Contact us today to get started.